The Bottorff Family Association has its annual reunion the 4th Sunday of June at the Ladies Union Club on Charlestown Pike in Prather, Utica, Clark Co., Indiana. The 2019 date is June 23. Potluck lunch is at 1:00 followed by a short business meeting. All Bottorff relatives are encouraged to attend. From Charlestown, IN drive 4 miles southwest on Indiana Hwy 62, then bear right on Charlestown Pike. From Jeffersonville, IN drive northeast about 7 miles on Indiana Hwy 62 (3 miles past I-265) then make an acute left on Charlestown Pike. MAP (You may need to click again if Google asks you if you mean Prather, Utica, Clark.) The Ladies Union Club is on the left in about 1/2 mile. The last Iowa Bottorff Reunion I know of was June 9, 2013, at the Fairview Lodge on Grant Street near the Carousel, in Story City, IA. Story City is 10 miles north of Ames on Interstate 35. The Reunion starts at noon, and is a potluck dinner which requires a serious nap before driving back home afterwards. Anyone is welcome to attend. Admission is free, and newcomers aren't expected to bring any food, just dining tools. Anyone with info on the Iowa reunions please contact webmaster. 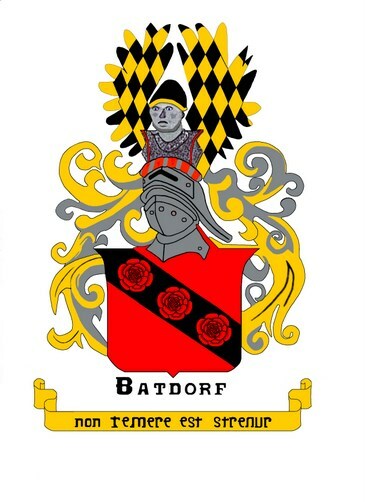 The Batdorf Family History by Virginia Batdorf has been reprinted in paperback. It is available from Masthof Book Store, 219 Mill Rd., Morgantown, PA 19543-9516 phone 610-286-0258 or at their web site at www.masthof.com. Cost is $21.50 including shipping (book = 18.00 + 3.50 shipping). PA residents please add sales tax. Grandmother Katie Piatt Bottorff's Pumpkin Pie A very rich pie that uses molasses. PERSIMMON PUDDING A Bottorff family recipe. You@Bottorff.org e-mail addresses. Just send me your permanent e-mail mailbox address and your first and second choices for your @Bottorff.org name. 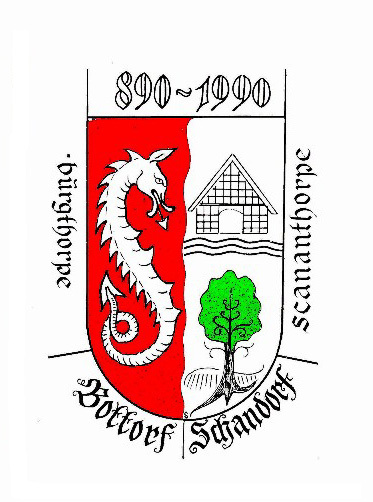 I will set up an e-mail forwarding account at Bottorff.org that will send your Bottorff.org e-mail to your permanent mailbox.